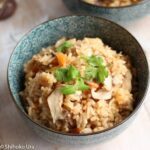 Mushipan is delicious, easy to make and can be cooked in 20 minutes. 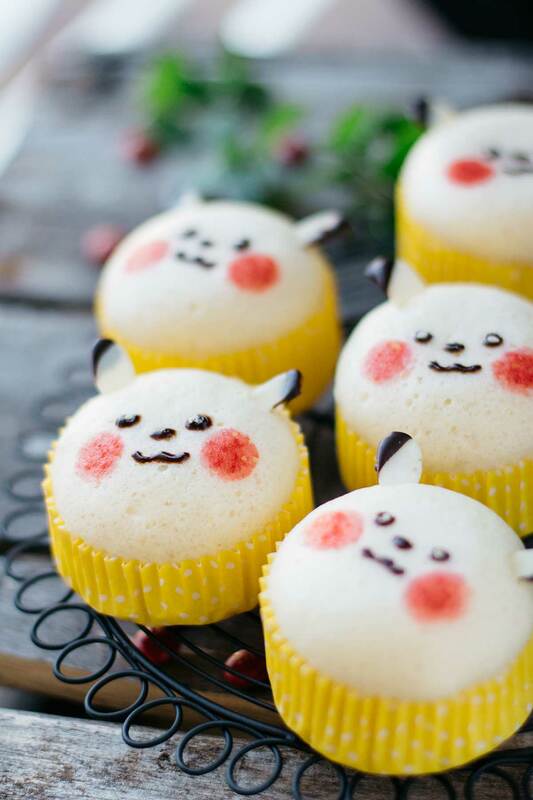 Mushipan, which is Japanese steamed cake, is so versatile. It can be made into many different flavours and shapes and also you can add many things like choc chips, raisins, and sweet potato bits. 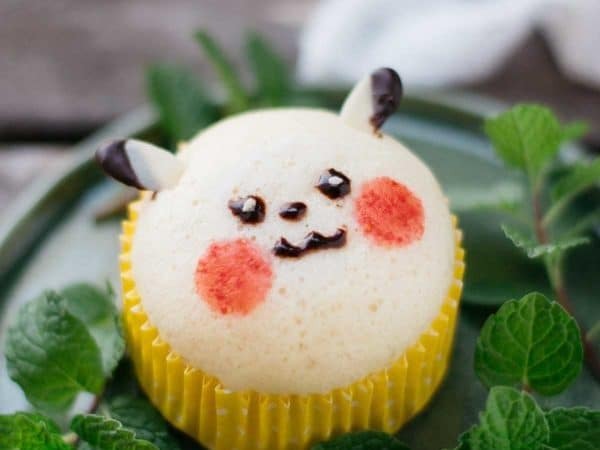 Today I made Mushipan into Pokemon Pikachu shape because Monday 15th of August is the Cupcake Day for the RSPCA fight animal cruelty with cupcake day in Australia. 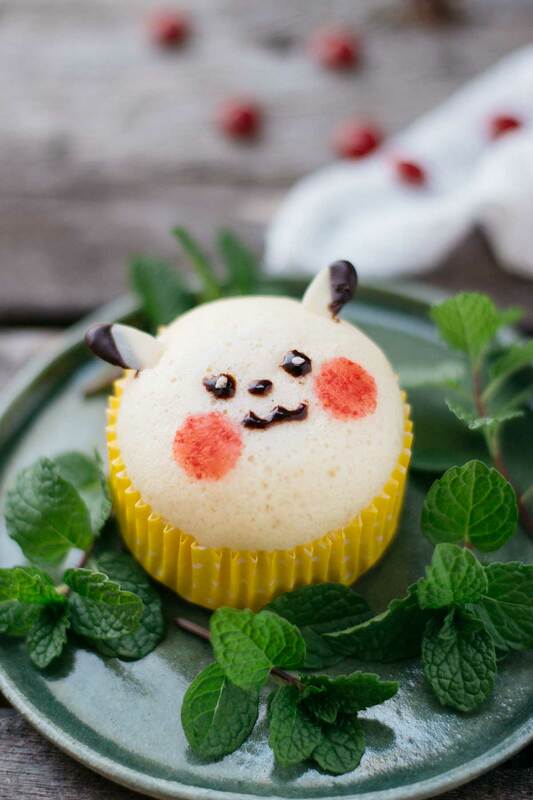 I wanted to contribute to this great cause with cute Pikachu Mushipan(Japanese steamed cake). 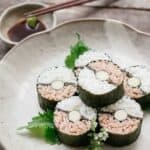 Mushipan recipe is very simple and if you don’t decollate it and just make it plain, then it can be done in 20 minutes. Plain mushipan is soft yellow colour. I thought I can turn this traditional, plain yellow mushipan into a cute Pikachu. It was very easy to make using almond flakes dipped in melted chocolate, cute red cheek with red m&ms and just draw eyes, nose and mouth with an brown icing pen. Initially, I was going to leave m&ms on the mushipan as it gives some dimension but realised actually the red colour transfers onto the cake and looks better. You do not need to have a steamer. I made this in a frying pan with ramekins. With this Pikachu Mushipan, you can plan a complete Pokemon themed Kids party. Well at least the food part is covered with Pokemon Ball Sushi and dessert is Pikachu Mushipan! Now I need to have some fantastic drink recipes in the future. Mix the self raising flour, baking powder, and sugar in a large mixing bowl. Pour the yoghurt mixture into the dry ingredients bowl and mix them well. Place the cupcake paper in ramekins and divide the mushipan batter evenly into the ramekin. Pour about 2cm high of water in a large frying pan over high heat and bring to boil. Turn the heat down to medium heat and place the ramekins into the frying pan. Place a lid wrapped with tea towel on top of the pan so that the water will not drop on the mushipan, and steam them for about 15 minutes. Insert a skewer in the center and if it comes out clean, the steamed cake is cooked. Take the steamed cake out of the ramekins and cool it down for about 5 minutes. 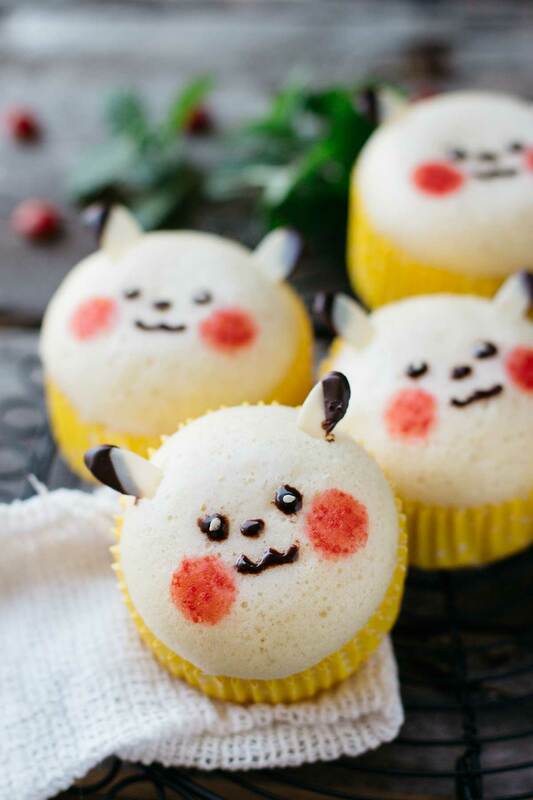 Place two red m&ms on the steamed cake each to leave red marks on the cake as the pikachu cheeks. Draw eyes, nose and a mouth with the brown icing pen and place white sesame seeds as eyes. Insert almond flake as ears. These are adorable! Do you think I could bake these in the oven in muffin pans instead? I am sure you can, I was going to try baked version too by pouring water in the over tray around a muffin tin 😀 Please let me know how you go 😀 cheers. 100 ml yogurt? Or 100 grams? 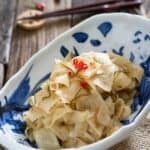 The amount is omitted in the recipe,. Hi Joanna, Thank you so much for letting me know and sorry for the mistake. It is 100g of yoghurt. Thank you. IIt’s so cute. I’m going this for my two daughters. They are going to love it! You are so creative and imaginative.